Debra did an amazing job with the design of our new kitchen and completely redesigned spacious second floor. Our project has been completed for almost 6 years and we are still enjoying all the extra space in our kitchen, new bathrooms and enlarged bedrooms as if it were all brand new. Debra was so easy to work with. Very thorough and flexible and completely understanding when the house was under construction. She has fantastic ideas and makes the process exciting as you see the space in your house emerge into an awesome new place to call home. Our house has improved its value and functionality more than we ever imagined thanks to Debra’s fabulous design. We’ve been in our ‘starter’ home for 43 years .. outgrew it with our three children .. and regained it when they each married and moved away. We always wanted to put an addition onto it and finally took the plunge in 2010. We selected a builder and he recommended Debra Wendling for the architectural design work. Now that we’re four years into the addition, I can say that Debra’s work was the very best part of our whole project. She LISTENED to us .. really listened and understood what we were looking for. Then, she enhanced our ideas with architectural aspects we never even thought of like vaulted ceilings, skylights and French doors. My husband wanted a specific roof-line and the builder was having problems visualizing the concept. Debra, however, recognized exactly what Carl was asking for and she produced the perfect design for the perfect roof. Debra is a talented, knowledgeable Architect and we wholeheartedly recommend her for your project. She was timely, communicative and very affordable, she’s also a very nice lady! 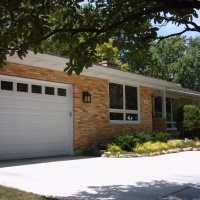 In 2004-2005 we had our 3 bedroom, 1 bath ranch-style house remodeled by Debra Wendling. 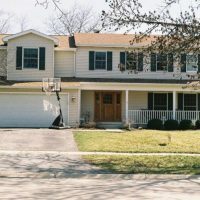 We met with Debra on many occasions to discuss our ideas and desires for our future house. Debra listened to our requests and made fantastic suggestions. 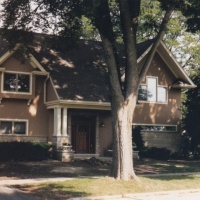 First and foremost we wanted a house that had architectural style on the outside with personal touches on the inside. She far exceeded our expectations. I remember the moment she showed us the designs of our dream home. The designs blew us away. She heard what we wanted and executed them seamlessly. My husband and I are huge fans of the Arts and Crafts Movement, Asian tranquility and clean lines. Debra added these touches to make our house look authentic. We wanted additional space, but not at the cost of style. We still are in awe of how beautiful our house looks.